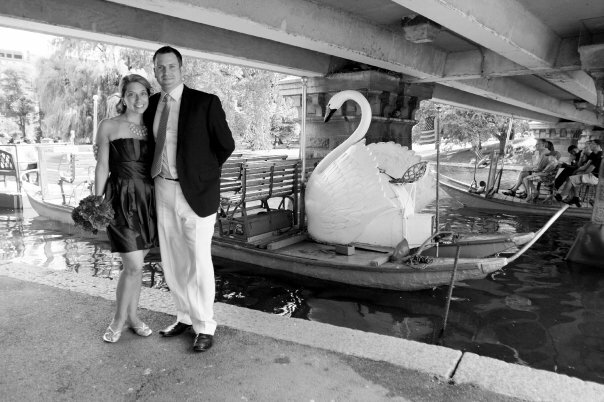 We took a trip to B.F. Clyde’s Cider Mill in Stonington, Connecticut over the weekend. Our kids were so excited at the prospect of getting donuts that they could hardly sit still. It was packed! So much so that the parking lot was full and the street parking nearly all taken. We waited in line for about thirty minutes to get our little bag of warm donuts and half gallon of cider. Family owned and operated since 1881, Clyde’s has the only steam powered cider mill in the United States. On Saturdays and Sundays you can see it running. Get there early because as I mentioned, the lines are long! By the time we got home we decided that the cider would be equally good spiked…only for the big people of course. With the official arrival of Autumn today we are hoping for some cooler weather, amazing foliage and brisk winds…the last bit is really just so there is a slight chance that our son’s remote control helicopter will blow itself down off of our very high roof where he managed to get it stuck last weekend. 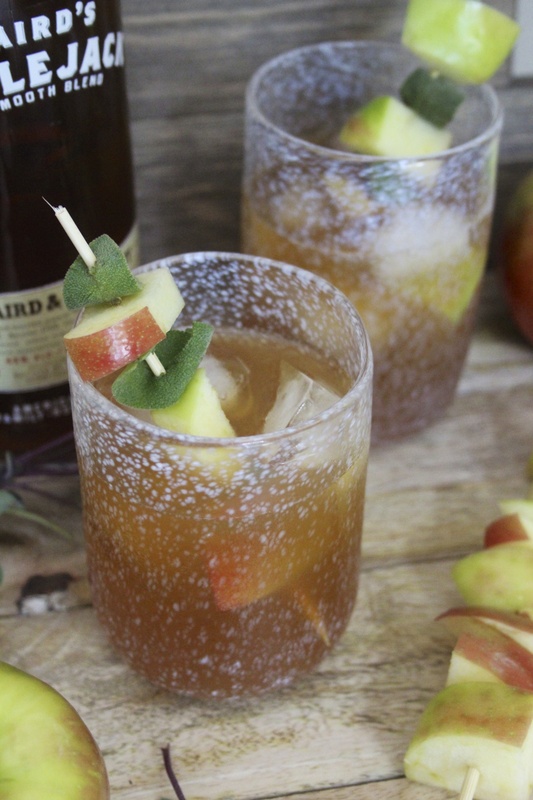 To welcome fall we decided to make our favorite apple cider brandy cocktails. 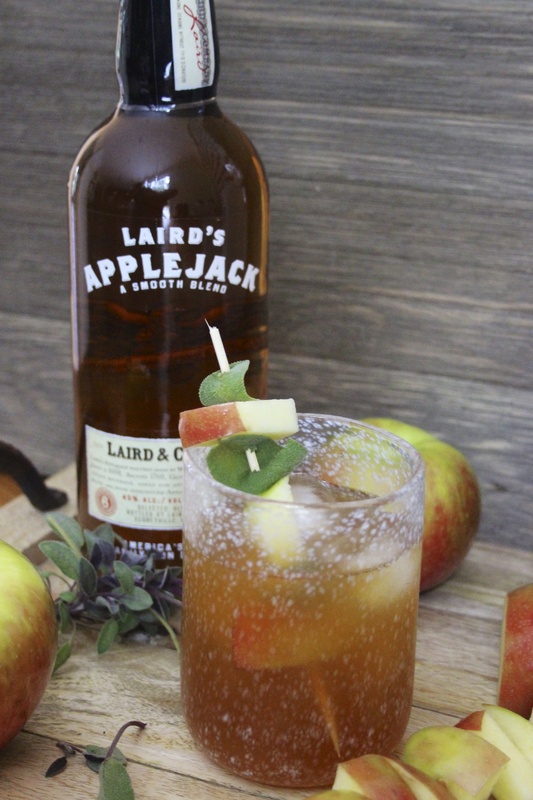 In a cocktail shaker we mixed one ounce of Laird’s Applejack brandy with a good glug of apple cider. We also added some sage leaves and freshly squeezed lemon and muddled it together before shaking it and pouring into gorgeous ice filled glasses which were hand blown by Battat Glass at Brick Coworkshop in Holyoke, Massachusetts. 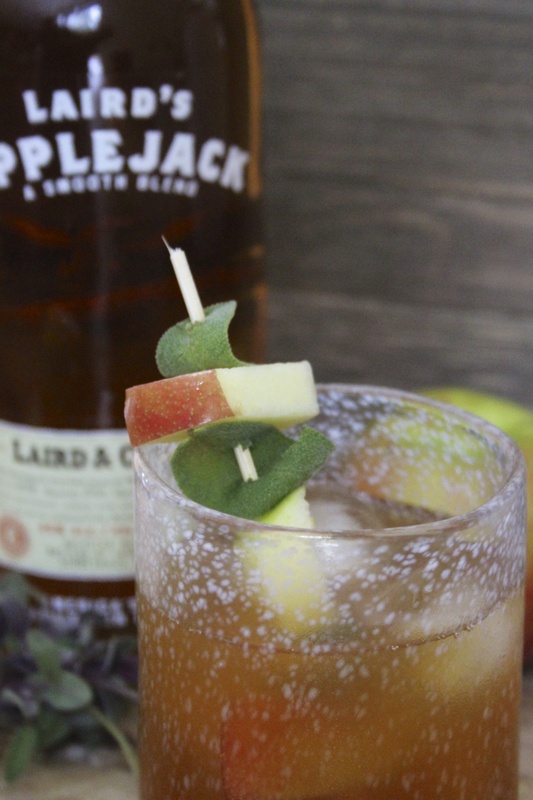 We garnished ours with chunks of honey crisp apples and sage leaves. Word of warning…drink them slow…they go down really easily! 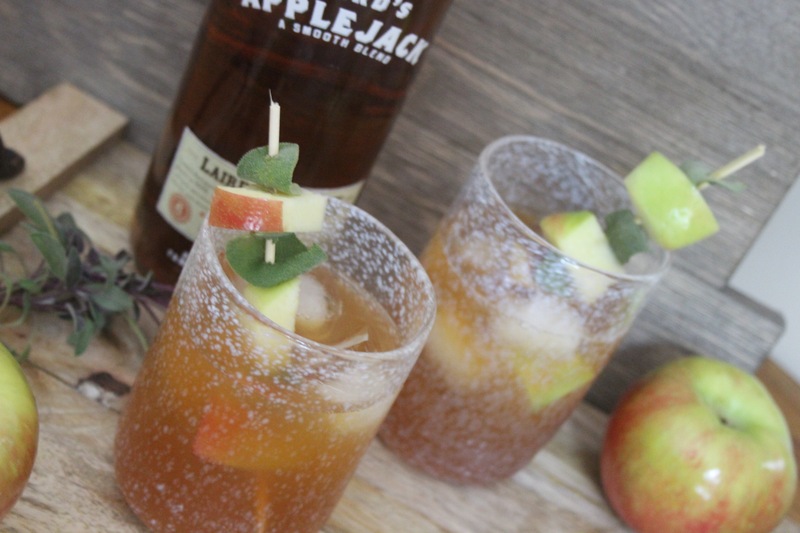 We can’t wait to try this again warmed up in mugs. It will make the perfect cocktail for autumn evenings spent sitting in the Adirondack chairs out on the deck. B.F. Clyde’s Cider Mill is open seven days a week from September- December.